International recognition of Mumbai’s art deco architecture has blossomed in the past decade. In particular, the home of Bollywood drew attention for its cinema architecture. Publications and design blogs based in America, Great Britain, South Africa – and of course, India – have approached the city’s wealth of early 20th century architecture from design, historical, and cultural perspectives. However, a major question underlies all of this coverage: will Mumbai’s art deco cinemas survive an era of declining attendance and high tax rates? 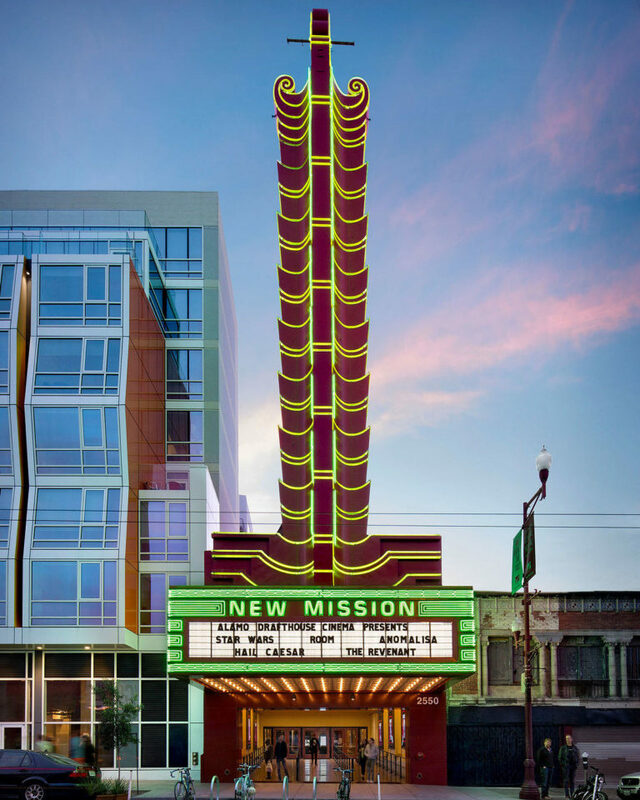 The answer may lie in the movie theaters’ potential for adaptive use. The Wall Street Journal detailed (i) many of the causes that led to the crisis plaguing many Indian cinemas. Perhaps most notably, after an era of tax holidays, art deco theaters are especially burdened by an astronomical 45% tax rate. 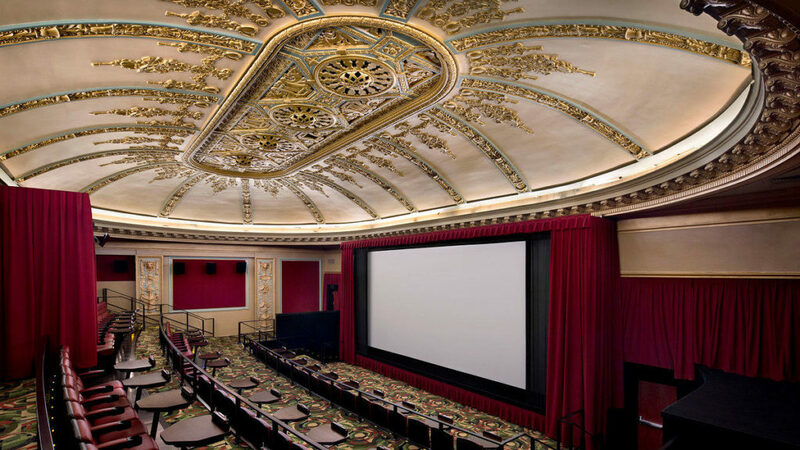 These historic theaters often have just one screen, making competition against multiplexes a challenge. Other trials abound, as detailed in WSJ. 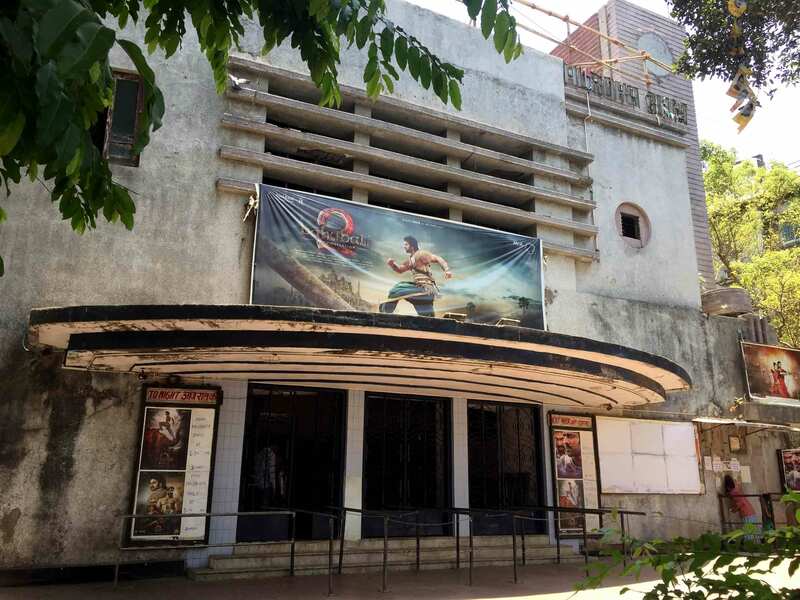 The over proliferation of cinemas presents an opportunity: Mumbai’s beautiful movie houses, including the famed Eros, Regal, Liberty and Aurora theaters, are now candidates for adaptive use. Adaptive use is the process of giving a historic building a new function based on contemporary needs. In the world of the arts, a well-known example is the mid-20th century practice of converting former industrial sites into gallery spaces. Adaptive use is closely related to the practice of historic preservation, also known in some regions as cultural heritage conservation. Particularly in Europe and the United States, adaptive use refers to rehabilitation that protects the entire building’s exterior, and potentially its interior. Adaptive use is not remodeling, renovation, or cherry-picking certain features of a site. It may involve a carefully planned addition or minor architectural changes, varying based on the country or region’s preservation laws. The goal is to maintain and rehabilitate as much of the building as possible, while making the structure suitable for a new and compatible use. Examples of adaptive use in Europe and the United States, regions in which the author has the most experience, include the Belgian Comic Strip Center (ii), Airbnb’s San Francisco headquarters (iii) in an industrial warehouse from 1917, and Florida’s University of Tampa (iv) campus housed in an eclectic former hotel. Museums and housing are two common outcomes of adaptive use projects. Informal adaptive use also occurs across the globe. In Cuba, lack of funding post-Revolution led to the continuing recycling of Havana’s historic architecture. The downside of ad-hoc, largely unregulated adaptive use is that the integrity of the building may be compromised by ill-conceived changes. Adaptive use conducted in accordance with local or national preservation or conservation guidelines is held to a clearly defined standard. India, like the United States, has both federal and state laws protecting cultural heritage. Both countries have laws governing antiquities, the environment, and built resources. However, India’s focus on cultural conservation seems to have less focus on architecture specifically. This is evidenced by the fact that not all states have protections for the non-monument portion of the built environment. Presently, much of the repurposing of Indian architecture takes the form of retrofitting (v) or brown field (vi) projects. These are both important types of heritage conservation and use, and brown field projects in particular can have beneficial environmental impacts. However, such projects also tend to involve more significant changes to a site than adaptive use initiatives. Before detailing the potential methods of adaptively using Mumbai’s art deco cinemas, it is important to acknowledge that these ideas come from the author’s European and American studies and research. Cultural heritage work, both in terms of law, general philosophy, and public opinion varies by region, country, and even locality. Experts familiar with Indian and Mumbaikar cultural landscapes, practices, and philosophies of maintaining history will no doubt alter and reconceive these ideas to suit the city’s needs. That said, it may be useful to see how other regions have approached adaptive use, and consider whether elements of those projects may address present needs in Mumbai. In the United States, a major draw of adaptive use projects is their economic benefits to organizations and governments. Buildings listed on the National Register of Historic Places may be eligible to receive historic rehabilitation tax credits from the federal government and some state governments. This alleviates some of the financial burden associated with the adaptive use project on the front end, and has been demonstrated to benefit state governments in as few as eight years in the form of future taxes. At the federal, state, or even municipal level, Indian governments could choose to invest in adaptive use. This policy incentive for repurposing buildings might lead entrepreneurial owners of failing cinemas to reimagine the potential of these spaces. Lacking these options, building owners will need to consider alternative means of funding. These could include loans, fundraisers, or co-stewardship partnerships, among other ideas. Governmental incentive or not, Mumbai’s movie theaters have significant adaptive use potential. An important consideration when adaptively using a structure is how compatible the new use is with historic function. For example, a building that previously served as an industrial site is not optimal for use as a concert hall. This is because of the vast differences in how people interact with an industrial building versus concert hall. More people will come in and out of the concert hall. They will all tread similar paths through the building. This results in wear and tear on doors, difficulty entering and exiting in large groups, and likely totally reconfiguring the building’s interior. These challenges do not mean that a building cannot be reused this way. Indeed, many industrial buildings are converted into uses that drive far more people through them in large groups. However, the wear on doors may require replace the original ones. Difficulty moving groups through the entrance may necessitate building an addition. Reconfiguring the interior changes the experience of the historic space. The changes are often made in adaptively used structures. However, to minimize the change needed, compatible or similar use of a building’s new versus historic function is advised. Relatedly, the owner of the building cares about the profitability of the site’s new venture. A desirable use in an attractive building will please both business and property owner. It also creates a better opportunity for the new use to continue long term, lessening the chances of alteration or threats to the building during occupancy or owner turnover. Economic, cultural, and environmental benefits can all accrue because of adaptive use. Economic benefits may flow to the owners of these buildings or the businesses within them, neighbors who see rising property values and have needs met by the buildings’ uses, and to governments as the buildings generate more tax revenue. Cultural benefits include the preservation of the building, as well as an opportunity to tangibly explain the history associated with it, especially that of marginalized or less understood groups or events. Environmental benefits accumulate as well. 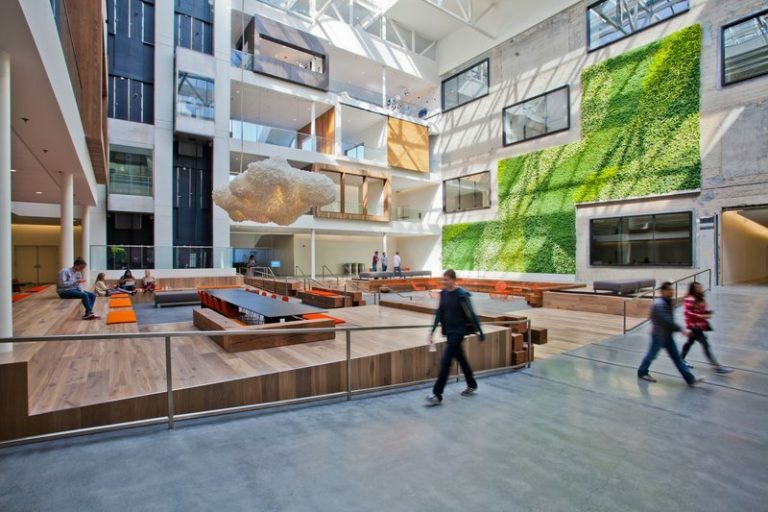 Due to the embodied energy of a historic building, in the United States it often takes decades before a newly constructed building – even one highly rated for low energy use by an organization like LEED – is as beneficial to the environment as simply reusing a building. 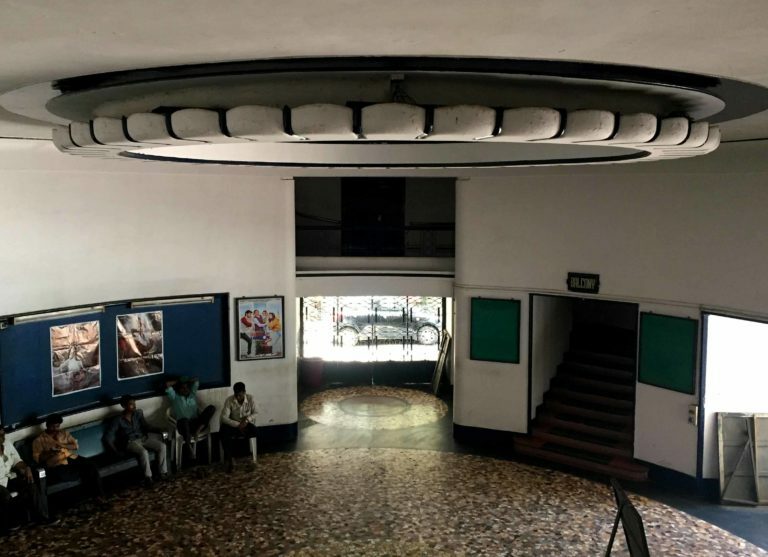 With these principles and benefits in mind, a number of adaptive use options present themselves for Mumbai’s – and south India’s – art deco movie theaters. 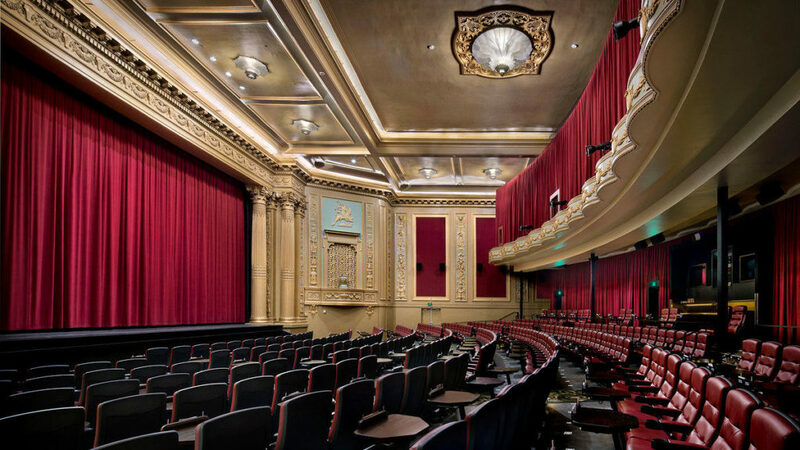 The cinemas that are the best candidates for the following ideas are those whose exteriors and even interiors are largely untouched, single screen theaters, and those physically appealing enough to attract interested owners, tenants, and visitors from both the city and around the world. After all, even within the now-lauded art deco style, not all sites are equally attractive. Thanks to these single screen cinemas’ design, these buildings are natural choices for new entertainment venues such as theaters for live plays or dancing; concert venues; and even lecture halls for visiting authors, speakers, or for schools, depending on location. These spaces could also become conference centers, able to serve large industries or businesses putting on presentations or educational events. Some cinemas might become single use spaces, like a concert venue. Others might shift in use. This is dependent on location and the imagination of the venue owner or occupant. These suggestions take into account the necessity of compatibility with municipal zoning regulations and building codes. These proposed uses acknowledge that movie houses tend to have limited windows and natural lighting. It also takes advantage of the fact that many cinemas still have seating and screen or stage areas intact, and that the design and ornamentation of the interiors is based around a layout in which everyone looks towards one part of the building. While it would be nice to maintain the seating and orientation of at least some of the theaters, it is also possible to reimagine the interiors of the cinemas. In some, seating could be ripped out and replaced by sculptures, artifacts, or a temporary maze of walls that would create an exhibit space for art. In others, that interior could be entirely reconfigured to serve a particular community’s needs. Potential community uses include a neighborhood meeting place, a senior citizens center, or a day care for children in movie houses with some natural light. Cinemas reimagine for community use should consult neighborhood groups or residents themselves to ask what their area most needs, and select a use that pairs well with the design of the building. 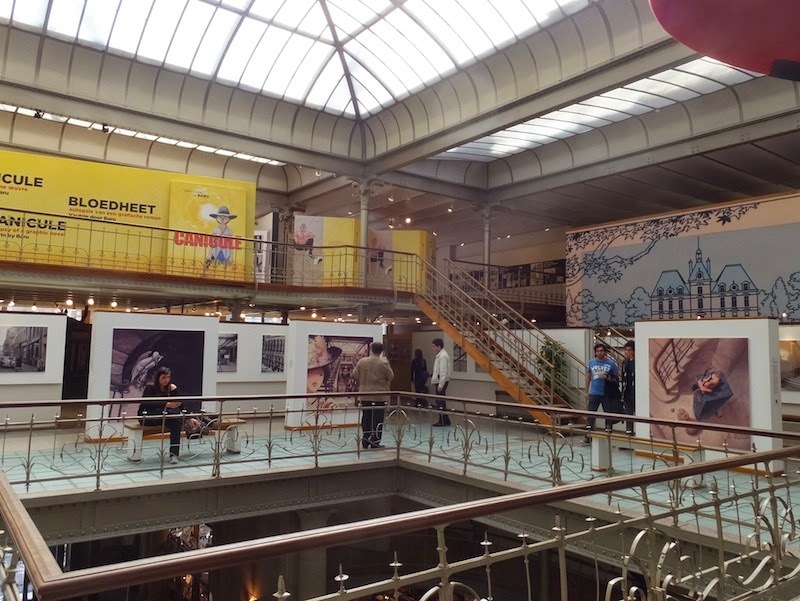 Since one of the benefits of adaptive use is the opportunity to showcase the history of the building in the newly imagined space, it is beneficial to reflect on the movie theater’s specific history and that of art deco cinemas in India generally. Those rehabilitating these structures may consider the role of colonization and its relationship to art deco’s proliferation, the fact that this building typology has vanished in its countries of origin even as it remains in India, and the country’s famed role as the largest producer of films globally. Each cinema will have a different focus and take on its history. Similarly, there are a number of ways to interpret the history and share it with visitors. The most basic is a plaque, or other signage. The benefit of this is the ease and relatively low cost. More imaginative styles of interpretation may engage additional visitors. This includes relevant programming related to the building and its history, such as an exhibit if the cinema becomes a museum or a lecture if the space features those. Interpretation may also take the form of brochures or an explanation of the building on media produced for the site, such as a website, schedule of events, or other promotional materials for the space. An infinite number of creative interpretations exist; it is up to each space to determine what best fulfills its goals and reaches it intended audience. Mumbai is bursting with beautiful art deco cinemas. As these buildings age, they are increasingly at risk of being forgotten, abandoned, or demolished. Yet even those theaters no longer immensely profitable need not bend to this fate. The potential for repurposing exists. Adaptive use is relatively new in India. Yet the new Zara flagship (vii) store recently opened in a listed Hutama Chowk Square building previously slated for demolition. Similarly, Indian lifestyle brand Nicobar (viii) moved into a 1920s bungalow in Bandra West. These commercial examples of adaptive reuse show that in India, as around the world, eye catching historic architecture is desirable for a variety of new uses. The next generation to occupy the city’s art deco cinemas may experience these buildings in an entirely different, yet connected, way. Jacqueline Drayer for Art Deco Mumbai. Jacqueline is the Outreach and Grants Manager at the DC Preservation League in Washington, DC. She implements preservation projects that critically examine history, create aesthetically diverse streets, and allow the past to be a cultural, environmental, and economic boon to the future. She also writes an architecture column for Greater Greater Washington. Previously Jacqueline was a Fulbright Research Fellow in Belgium, where she wrote and photographed a book about the benefits of adaptively used art institutions. She completed a BA in American Studies from George Washington University, where she is now pursuing an MA in American Studies/Historic Preservation. Eros & Regal sound alarm. Will govt save Art Deco beauties in The End?